When you seek treatment at a hospital or medical facility, you never expect to suffer more injuries at the hand of your doctor, nurse or other care provider. Medical negligence should not be tolerated. 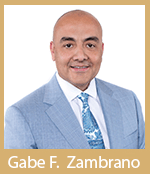 Let Zappitell Law Firm help you protect your rights when you or your loved one has suffered life-changing injuries. As a patient, you have a right to receive safe, ethical treatment from your physician and any other medical professional. When they ignore or break the rules, individuals are often left to deal with injuries that could have been prevented. We realize that many of our clients, especially those who received misdiagnoses, are devastated by their injuries. Whether your child is suffering from Erb’s palsy or another condition caused during labor, or you are suffering as a result of a medical error, we want you to know that we are here for you. Our main goal is to ensure you receive the medical care you need and you deserve to make the fullest recovery possible. 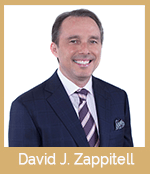 Delray Beach medical negligence lawyer David J. Zappitell will tirelessly work to hold the negligent medical professional responsible for his or her actions and maximize your recoveries. While no amount of financial compensation can ever return your time or the quality of life that you lost, it can alleviate your medical bills and help you move on with your life. This is also true for family members of loved ones who have lost their lives due to medical malpractice. 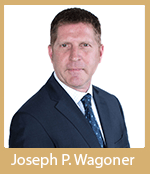 Our lawyers understand the immense negative financial and emotional repercussions of wrongful death. We are determined to help you obtain the resources you need to heal from tragic events. We invite you to contact Zappitell Law Firm toll free at (561) 330-6330 to schedule a free consultation to discuss your medical malpractice injuries. We are available to help you 24/7. Evening and weekend appointments are available upon request. Spanish language services are available. Our personal injury cases are taken on a contingency fee basis: There is no fee unless we recover damages for you.